SAN SALVADOR (NNN-Prensa Latina) – El Salvador has rejected US President, Donald Trump’s allegation, it was “doing nothing” to discourage undocumented migrants from heading to the US. “We have continually called on the people, not to risk their lives and the lives of their families, especially little girls, little boys and adolescents, as they are exposed to many adverse situations along the way, including falling into the hands of criminal groups,” Salvadoran Foreign Affairs Ministry said, in a statement. In addition, El Salvador has taken important steps, economically and socially, to curb migration, in keeping with the Alliance for Prosperity Plan, to improve the living conditions of people in Central America’s impoverished Northern Triangle, the ministry said. 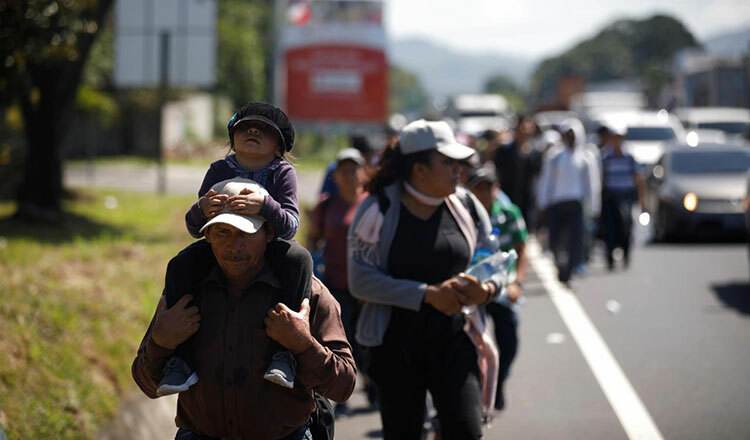 Irregular migration from El Salvador dropped 60 percent in 2018, the ministry said. On Friday, Mr Trump accused El Salvador and other Central American nations of failing to take effective actions, to discourage migrants and threatened to cut off aid. “Honduras, Guatemala and El Salvador are doing nothing for the United States but taking our money. Word is that a new caravan (of migrants) is forming in Honduras and they are doing nothing about it. We will be cutting off aid to these three countries,” said Mr Trump. This year, at least three caravans of mostly undocumented migrants, fleeing poverty crossed Mexico, reached the southern US border. In response, Washington beefed up security in the border region by sending troops.